Toronto police have identified the 10-year-old girl who died in Sunday’s mass shooting on Danforth Avenue. They say Julianna Kozis was from Markham, Ont., a city just north of Toronto. “Her family has requested privacy during their time of grief,” police said in a news release issued Tuesday night. Kozis and her family were finishing up a trip to Demetres Danforth for ice cream when the shooting erupted, according to a waitress who says she served them that night. Diana, who did not disclose her last name, told CP24 that Kozis was “very pretty” and that the girl had quite an impact on her, despite their brief interaction. While little is known about who Kozis was, some details are emerging. She was a competitive athlete in the sport of synchronized swimmingand a member of the under-10 team with the Markham Synchro Swimming Club. 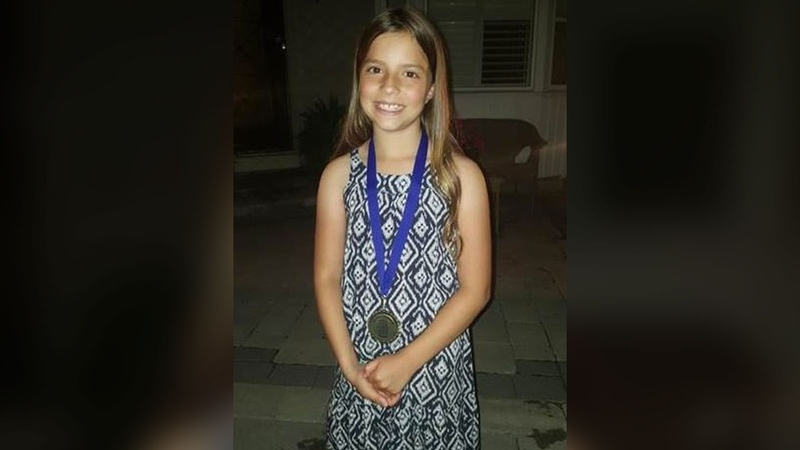 “Julianna was a beautiful, aspiring athlete who was in her third year in our sport,” Alacoe MacTavish, president of the Markham Synchro Club, said in a statement. The other victim in Sunday’s shooting, Reese Fallon, 18, was a recent high school graduate was planning to study nursing at McMaster University in the fall. Police say that the 29-year-old gunman rampaged through Toronto’s Greektown on Sunday evening around 10 p.m.
Fifteen people were shot, ranging in age from 10 to 59. 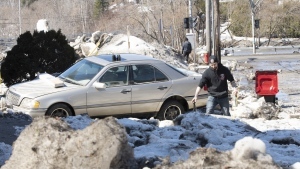 The gunman died after exchanging gunfire with police. Ontario’s Special Investigations Unit identified Faisal Hussain as the gunman and Toronto police continue to investigate the shooting. A statement issued on behalf of his family said he struggled with “severe mental health challenges” and that neither therapy nor medication improved his condition. The City of Markham said it would lower flags in honour of Kozis. Meanwhile, a makeshift memorial is growing on the Danforth and the sign outside Toronto City Hall has been lit in blue and white, the colours of the Greek flag. Toronto shooting victim Julianna Kozis is shown in this handout photo from Toronto Police.